Summer is here and its time to get your online shop ready to make your products available to your customers 24/7! 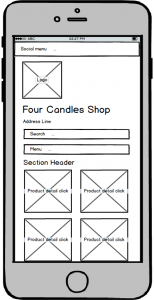 At Adur Design we can make your new online shop project a reality with a modern, mobile friendly e-commerce solution. We can design and build your new shop which will give you or your staff the control to login and add or edit products in multiple languages and even add sales promotions such as special offers. To make this even better and more affordable we’re offering a summer discount of 10% off your total project cost, get in touch to find out more! Work has started on a new responsive theme for the Worthing and Adur Chamber of Commerce website. This new theme will replace the currently dated theme and bring a fresh, contemporary look and feel to the Chamber’s website. The new responsive custom theme is being built within the Wild Apricot CMS (Content Management System). This website update project will enable the Chamber’s user to easily view this website with mobile and tablet devices. Part of this project will include improving the user experience for the Chamber’s audience by working on the user journeys for tasks such as booking a networking event. This bespoke theme is being design and developed to reflect the Chamber’s brand and will bring a fresh new design to an established website. If you would like to find about our website re-design services get in touch to see how we can help with your next website project. We’re working on a user experience project for the Four Candles Shop to bring the shop’s vibrant and unique stock line to their online audience. The stakeholders are moving to an e-commerce solution and we’re refining the user journey with wire frame work and user testing. 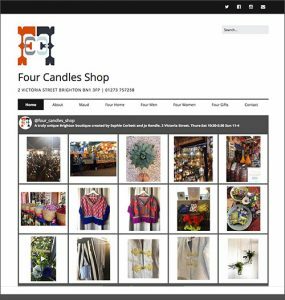 Read more on how we’re taking the current website products and added in e-commerce functionality for online purchasing for the Four Candles Shop. A requirement is that the purchasing system must be mobile friendly so all product orders can be completed with a smooth user experience. View further details on this user experience project and how we’re working with clients to enhance their online presence. 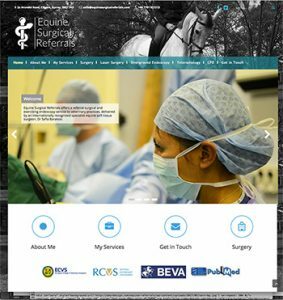 You can also view more on our user experience process and if you would like input on your website user’s experience get in touch to find out more. A recent enquiry has developed into a new user experience design project for Adur Design. One of our clients is creating a new website with an e-commerce feature so that products can be created and made available to an established audience. Our client has several thousand followers and contacts which have been built up through interest already generated in an established business. We’ll be looking at our client’s social media channels and exploring the established audience to give insight based on marketing personas that we will be creating. We’ll provide marketing intelligence to inform our client’s e-commerce design and help to identify product details based on user requirements. We are pleased to add to this new online venture and we’re happy to be invited to work again with our client. If you would like to find out about how you can improve user interaction with your audience just get in touch to see how we can help. 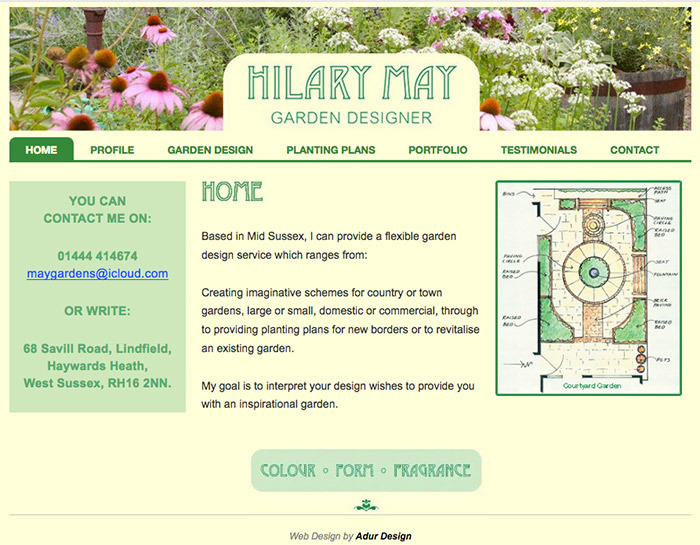 Adur Design has just launched a new WordPress website for Sussex based Hilary May Gardens. This clean and clear WordPress website was designed based on an older website and built with a responsive design for multi device use. This new website show cases the creative work of Hilary May and includes a responsive gallery for featured projects, client testimonials and a contact form for user interaction. New clients now have an improved user experience with Hilary’s new website, Hilary’s audience can now see how she works with her clients to transform their outdoor spaces. If you have an older website that you would like re-designed and bought into a modern content management system like WordPress get in touch to find out more. Visit Hilary May Gardens to view Hilary’s new website. React is also a good way to develop new, fresh user interfaces (UI) as the view layer is responsive for multi device use out of the box. If that doesn’t mean much to you, and not that it should, it creates a better user experience for your websites and apps by making your website’s pages and functions easily viewable and much more usable with quick loading speed for your audience. 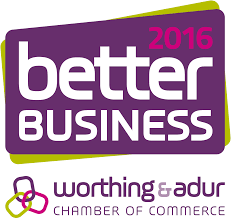 We hope that your 2017 is off to a great start, if your thinking of re-freshing your website Ant Tyler will be speaking at the Worthing and Adur Chamber of Commerce’s Better Business Show on the 2nd February. As part of the Expert Zone Ant will be speaking on how to improve your website and your user experience to increase your website’s interaction with your online audience. Ant will also be giving an introduction to WordPress for a user friendly content management system for your website. Do you want a new website? Get a quote for a professional, affordable modern website. 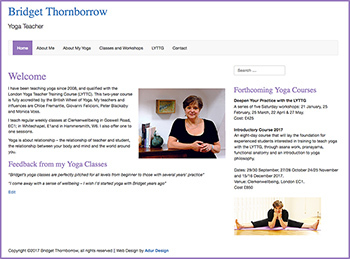 Adur Design has just launched a new, custom built WordPress website for Bridget Thornborrow Yoga. This clean and clear responsive design website show cases Bridget’s yoga work and classes with information and contact form. This WordPress website is optimised to be viewed on multiple mobile and tablet devices for ease of use and enhanced user experience. Ant Tyler’s Adur Design are proud to say that this project was completed on time and to budget with the minimum of fuss. This website also features a design refresh and has allowed Bridget to refresh her web presence, Bridget can also login and edit her own page content. 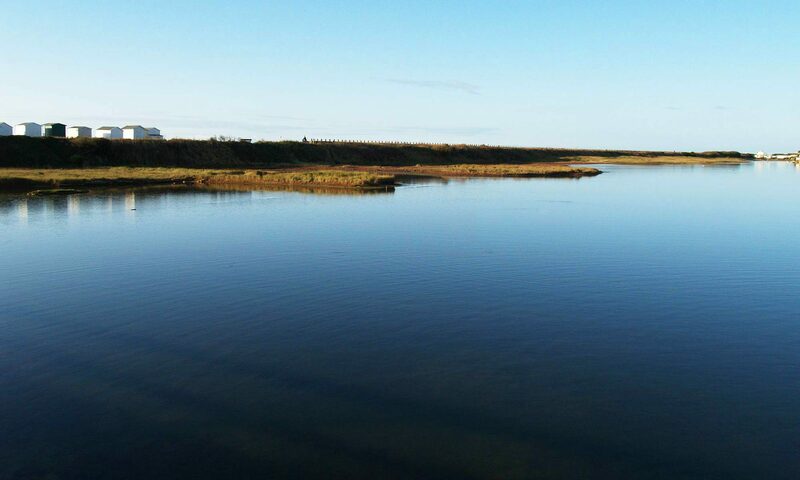 If you would like to know more about this project or how we can help you with a new website just get in touch for a chat.